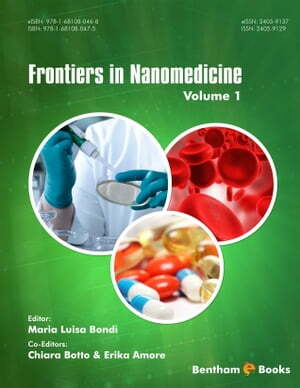 Collins Booksellers - Frontiers in Nanomedicine Volume 1 by Maria Luisa Bondi Bondi, 9781681080468. Buy this book online. Frontiers in Nanomedicine offers an up-to-date understanding of nanomaterials to readers having clinical or biomolecular research interests. Scientists, both aspiring and experienced, will find, in each volume, a comprehensive overview of current molecular strategies for using nanoscale materials in medicine. This volume explains the use of nanotechnology in medicine to improve the diagnosis of disease and the role of nanoparticles in targeted drug delivery systems for theranostic applications. This volume also covers the applications of nanoparticles in breast cancer research, liver disease therapy and Alzheimer's disease treatment.